My answer to that question would be similar: I first came to the craft of writing because I love sentences. It was just that simple. But in another way, it wasn’t simple at all. Making the jump from liking sentences to “being” a writer was a big one because it required . . . well . . . writing. I started with short pieces — parables and fables that dealt with simple spiritual truths. 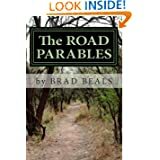 They became a collection of three dozen or so that I titled The Road Parables. One of these is called “The Thieving Particulars.” It deals with idea that the enemy of our very best is usually not the worst, but the merely good. Anyway, it’s written in a kind of hillbilly vernacular, which was a lot of fun to write in. So fun, in fact, that I decided to use it in my first novel, Raising Ebeneezer. Imagine Tolkien raised in the Blue Ridge Mountains. And then, around 2010, I started having conversations with my boys about survival. I remember talks around the highly un-technological wood stove in our family room and how it could keep us warm in the winter and provide heat for cooking no matter what happened to the electricity or the water or the gas. Yes!… and what if all of it, one day, just simply quit working? What if…? So began Catastropolis. In the planning stages, I had envisioned an adventure story for post-adolescent boys. It ended up becoming much more than that. Yes, I had my characters struggle to survive, but they also had to wrestle with things like community and government, family and marriage, the rule of law and crime in a fallen world. They needed to re-learn how things are built, not just houses and gardens, but society too. The themes were big enough, I thought, that I could develop them further, into at least another volume. So Blood Bound picks up two generations after the initial events, the pandemic, of Catastropolis. We find the characters in a more hopeful world, a simpler world in some ways, a freer world in just about every way. There are no states, per se. The primary government entity are individual families gathered around God’s word. And so the themes in Blood Bound, and the questions that have to be answered do not involve the grand issues of law and society that Josiah and Liam and Jack faced in Catastropolis. The big questions in Blood Bound are met and answered by the individual. 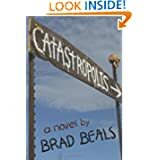 Whereas Catastropolis is a story of peoples. Blood Bound is a story of souls. I do have a third volume in the works, but it’s very early, and the works so far are very unreliable. I never know what’s going to stick and what’s already on its way out. My wife’s name is Heidi. We’ve been married for 24 years. Smartest thing I ever did. We have six kids. They’re all currently living here in the house, though two are on the verge of flight. Scary. We have a happy, noisy house. It is both a terrible and a wonderful place in which to write. I teach high-school English in a little town about 30 minutes from me. I’ve been in the same room, had the same desk even, for 18 years now. It’s good work. Teenagers keep me . . . something. . .
Young? I’d like to think that. Quick on my feet? I have to be that, though I’m not sure I’m getting better at it. Humble? Yes. They keep me humble. As I get slower, shorter, wrinklier, they are moving the other way, and the gap between us widens. Humbling, yes. So that’s me. If you’ve read this far, thank you. But no mention here of my favorite book of yours, Dragon Haint. Or did someone else write that one? You got the right guy. 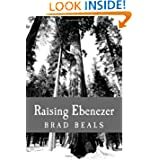 I’ve since re-titled it Raising Ebeneezer. I’ve always had trouble with titles, and I’m never happy with them once I’ve picked one. I can’t seem to commit! Ah, gotcha. Okay, “Tolkien in Kentucky” fits better now. I was afraid I’d have to add another Beals book to my “to read” list.